What you see here is a kitchen sink full of sludge. 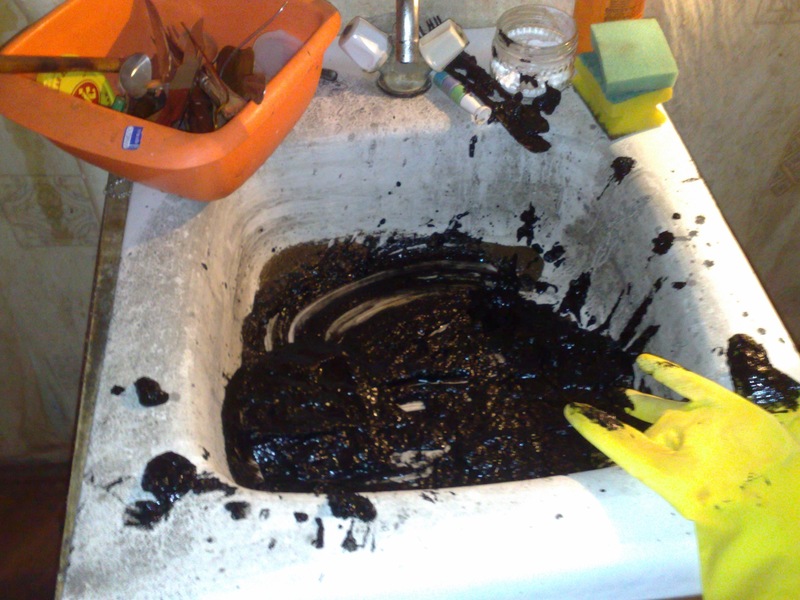 To be precise, this is a kitchen sink full of sludge after some extensive cleaning efforts – so you can imagine just how much sludge was originally there. The sludge was also on the floor. The pipes were being cleaned – and so I got a nice present waiting for me when I got home yesterday. Nothing says “happy Friday” quite like sludge, I think. The downstairs neighbours got it even worse. oh, lord. I’m so sorry. Did Alex tell you about our khruschyoba plumbing issues? I came home from work last year to find six inches of *nasty* scummy water on our kitchen floor. We had just gotten most of it bailed out when it flooded again. When the zhek plumbers finally came a couple of hours later, they just laughed at us for being foreigners who intentionally came to Russia. Yeah, he did mention it. Or something to that extent. I had a hilarious time cleaning that stuff up!